(2013). The Effect of Resistance and Progressive Training on HSP 70 and Glucose. International Journal of Bio-Inorganic Hybrid Nanomaterials, 2(4), 511-515.
. "The Effect of Resistance and Progressive Training on HSP 70 and Glucose". 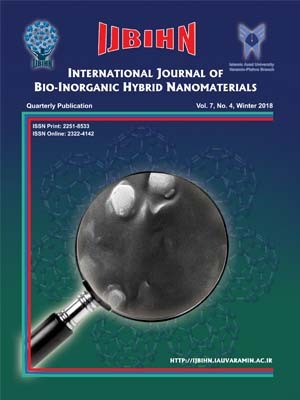 International Journal of Bio-Inorganic Hybrid Nanomaterials, 2, 4, 2013, 511-515. (2013). 'The Effect of Resistance and Progressive Training on HSP 70 and Glucose', International Journal of Bio-Inorganic Hybrid Nanomaterials, 2(4), pp. 511-515. The Effect of Resistance and Progressive Training on HSP 70 and Glucose. International Journal of Bio-Inorganic Hybrid Nanomaterials, 2013; 2(4): 511-515. Skeletal muscle may develop adaptive chaperone and enhancementdefense system through daily exercisestimulation. The present study investigated resistance and exhaustion training alters the expression of chaperoneproteins. These proteins function to maintain homeostasis, facilitate repair from injury and provide protection. Exercise-induced production of HSPs in skeletal muscle and peripheral leukocytes and, it may provide insight into the mechanisms by which exercise can provide increased protection against stressors. The aim of this study was to examine the effect of 2 types exercise trainingon HSP70 expression.Nineteen training female in 2 groups taking part in the intervention volunteered to give blood samples. Levels of chaperone proteins weremeasured in response to resistance and exhaustion training.HSP70 levels were increased, immediately and 2 h after Progressive training but decreased after resistance training. The data showed that human skeletal muscle responds to the stress of a single period of Progressive trainingby up regulating and resistance training by down regulating expression of HSP70.Physical exercise can elevate core temperature and muscle temperatures and the expression pattern of HSP70 due to training status may be attributed to adaptive mechanisms.